Cryptocurrency is no doubt the fastest money growing space but is still largely unregulated and has caused millions of spams. On Jan 30, Facebook has updated its ad policies, banning all the adverts that promote cryptocurrency and ICOs. The company banned advertising of cryptocurrencies on its platforms, as those financial products and services were responsible for misleading or deceptive promotional practices. On changing the policies, the company informed that people will not be able to promote such ads on Facebook, Instagram and its ad network and Audience network. After banning ads on Facebook, the ads still successfully made its way of reaching people through workaround emails by changing its spelling. After Facebook, Google might stop showing Cryptocurrency-related advertising from June 2018. Because the google is updating its financial service related policies to ban the promotion of cryptocurrency-related content, including, wallets, ICOs, advice related to trading etc. According to the reports, FBI had forced Facebook to ban all cryptocurrency related adverts and now the same force is pressurizing Google to do the same. A senior investigator at the Manitoba Securities Commision and chairman of Canada’s Binary Options Task Force, Jason Roy told that they first explained Facebook about how innocent people are becoming victims because of its promotion and now they had the discussion with Google about the same. 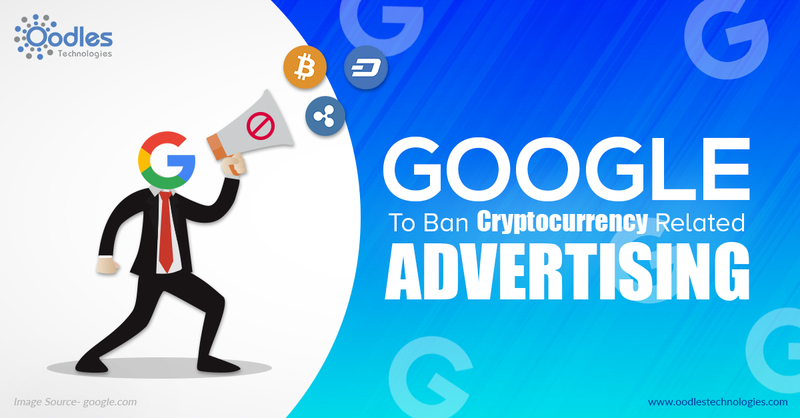 From June, no company will be allowed to promote ads related to cryptocurrency through any of the Google’s ad product or any of the third party websites such as Google search, YouTube, Adwords and other Google properties. Though Google has not yet agreed and told that they have removed over 3.2 billion ads last year that violated its ad policies which are double the 1.7 billion it removes in 2016. In 2017, Google had pulled 79 million ads which they found involved in any suspicious activity. We all know cryptocurrency is a vast sector with the investment of $370 million. But, do you think by pressurizing the social media to ban ads related to it is an intelligent way of handling this unregulated sector? Share your views in the comment section below.